Every gal knows a good weave is hard to find. 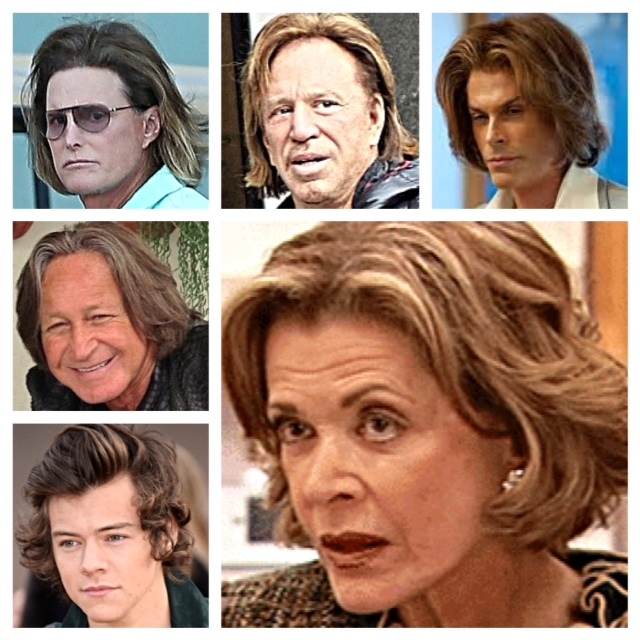 Luckily, One Direction’s Harry Styles, Real Housewives of Beverly Hills star Mohamed Hadid, Kardashian patriarch Bruce Jenner, the remains of Mickey Rourke (yes, that’s him) and Rob Lowe in ‘Behind the Candelabra’ all have beautiful hair … for a woman. Motherboy 2014 has officially arrived. ‘Reality Bites’ for Katy Perry & John Mayer! In honor of today being the 20th anniversary of the release of the Generation X masterpiece ‘Reality Bites,’ here’s Katy Perry and John Mayer serving 1994 realness in Hollywood the other day. Janeane Garofalo/’Vickie Miner’, is that you? With Ethan Hawke nowhere in sight, John’s goatee, necklace and easy fit jeans trifecta are a slacker wonderland. Looks like there could be a Lisa Loeb show in their future. Do you remember where you were on the night of Friday, February 16th, 2007? 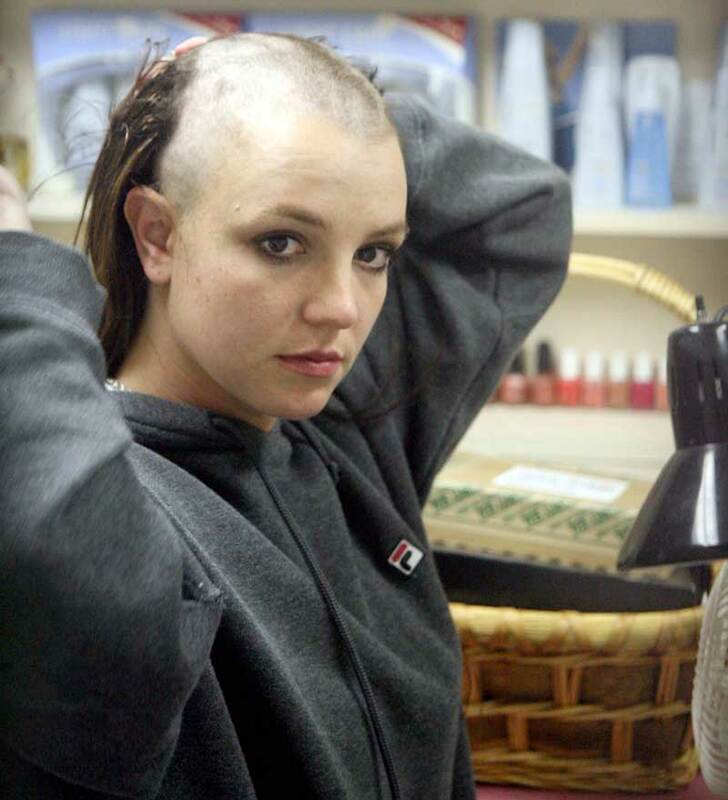 It seems like only yesterday that Britney Spears showed up to a Sherman Oaks tattoo parlor and shaved her entire head bald. Life as we know it was never the same again. 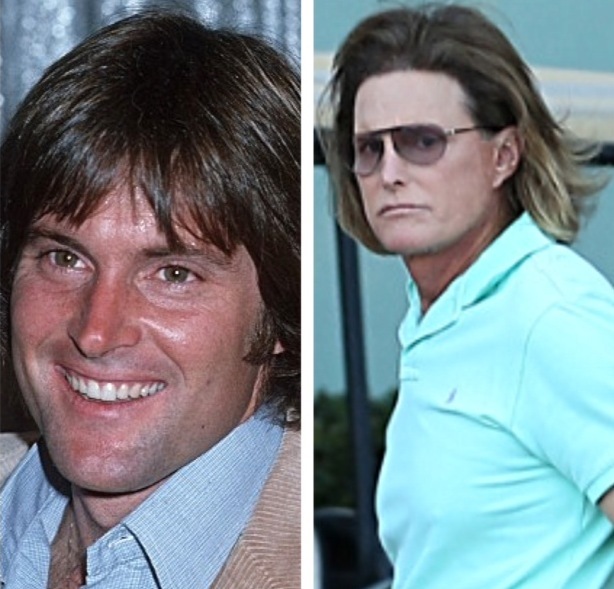 Bruce Jenner — Hombre to Ombré! Here’s hunky Bruce Jenner a little while after winning a gold medal for Decathlon at the 1976 Olympics — and the perky 64-year-old father of six (and step-father of four) showing off his freshly blown out Lucille Bluth/Jessica Walter ombré shag in Los Angeles on Monday. 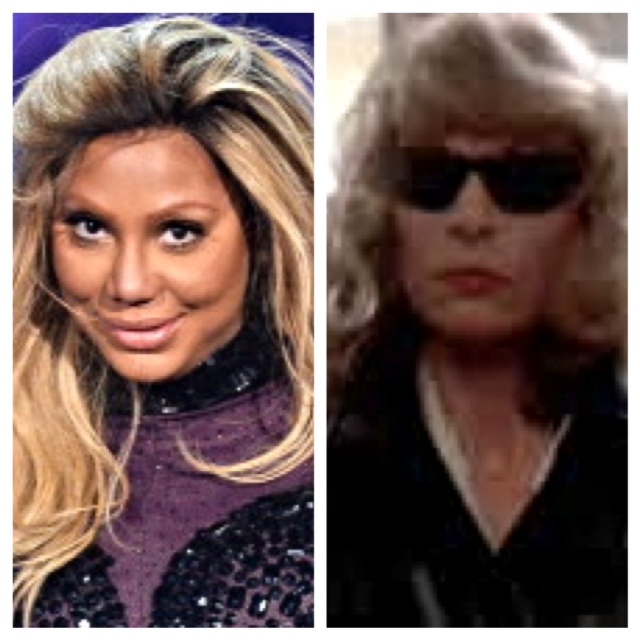 Britney in Tamar Braxton Drag! February 3, 2014 // Beauty, Body, Drag, Faces, Fashion, Gay, Um, Weave, Why? The Cult of Britney™ and the Little Monsters were united through the powers of synthetic weaves and pancake makeup when the real Britney Jean Spears and Lady Gaga posed for this picture after the Toxic singer’s Vegas sideshow on Saturday night. Tuck … for your life!